You are invited to join us for a very special Mother's Day Fundraiser Luncheon in the Lake View Room of The Entertainment Grounds Gosford. Event hosts are BPW Central Coast & Your Guide Central Coast supporting the "Because We Care Boutique Central Coast" a service supporting women in need in our community with return to work clothing. Guest Speaker Melinda Schneider is a huge supporter of the Boutique service & will share with us her inspirational journey. A very special day not be missed. Raffles & Fundraising Auctions available. Women's equality: at work, in the supply chain, on boards - women leaders at all levels. BPW eClub meetings are virtual meetings via Zoom. Support and briefings to help you be a well informed advocate for women's empowerment. How to effectively have your say on contemporary women's empowerment issues. Including how to influence Government Policy and Regulation. How to be a positive advocate for women's empowerment within your own community, within your own industry and across Australia. Expert Briefings + QandA from national and international advocacy, industry and subject matter experts. NSW/Vic 7.30pm. SA 7.00pm Qld 7.30pm. NT 7.00pm. WA 5.30pm. NSW/Vic 7.30pm. SA 7.00pm Qld 6.30pm. NT 6.00pm. WA 4.30pm. 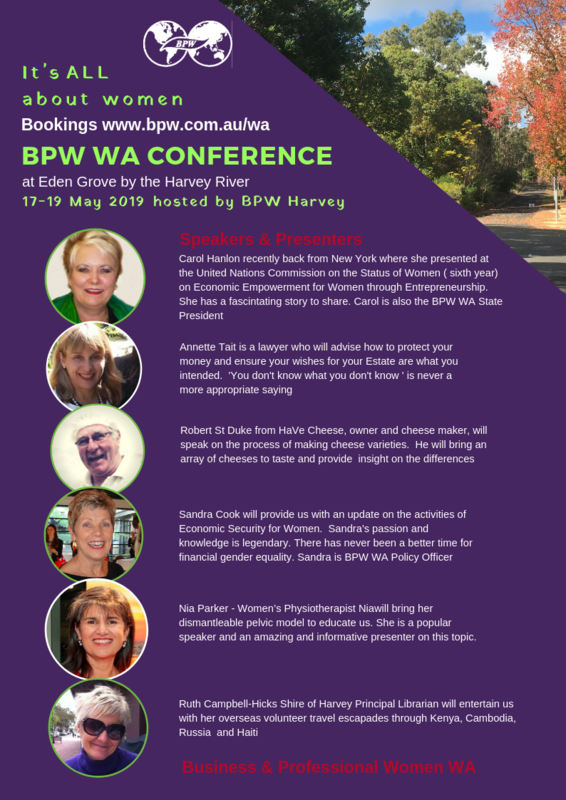 Share a weekend with the wonderful women of BPW Western Australia by the banks of the Harvey river. Nestled in a rural setting, Eden Grove Precinct is dotted with historical buildings and surrounded by lush gardens. Members can become a club delegate, attend presentations, enjoy nature, eat well and network with business and professional women from across WA. 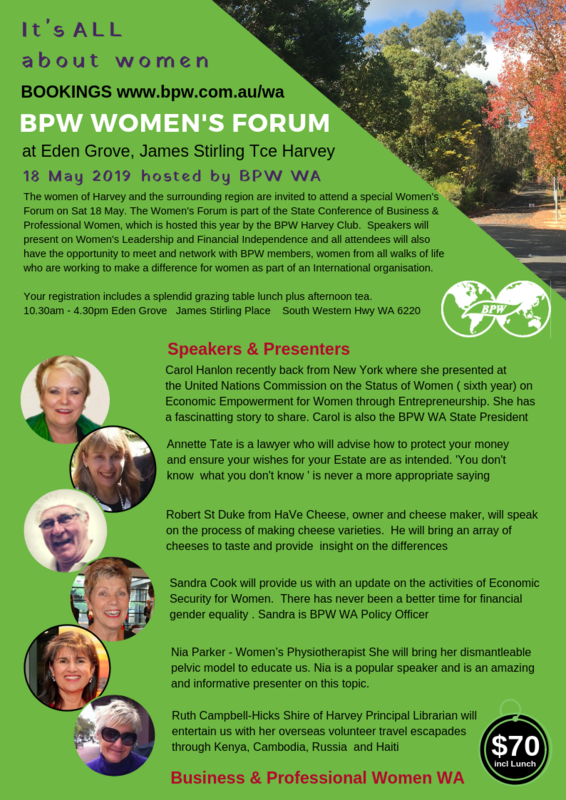 Join your BPW friends in May Friday 17 - Sunday 19 2019, in beautiful peaceful and green Harvey, just ninety minutes from Perth. Arrive Friday early evening, leaving your day-to-day responsibilities behind and enjoying a welcoming casual meal with members from all BPW WA clubs. Saturday is day jam-packed with BPW business, a variety of presentations and ends with the conference dinner in the evening. The Saturday sessions will be open to all women from Harvey and the surrounding area. There'll also be an opportunity for you to participate in recording some short videos in the Green Room Studio. We will have a BPW focus but you can learn how this great technology can work for you on your own business. Shared room accommodation, all meals and sessions. We look forward to meeting up with you in Harvey! The women of Harvey and the surrounding region are invited to attend a special Women's Forum on Saturday 18 May. The Women's Forum is part of the State Conference of Business & Professional Women, which is hosted this year by the BPW Harvey Club. 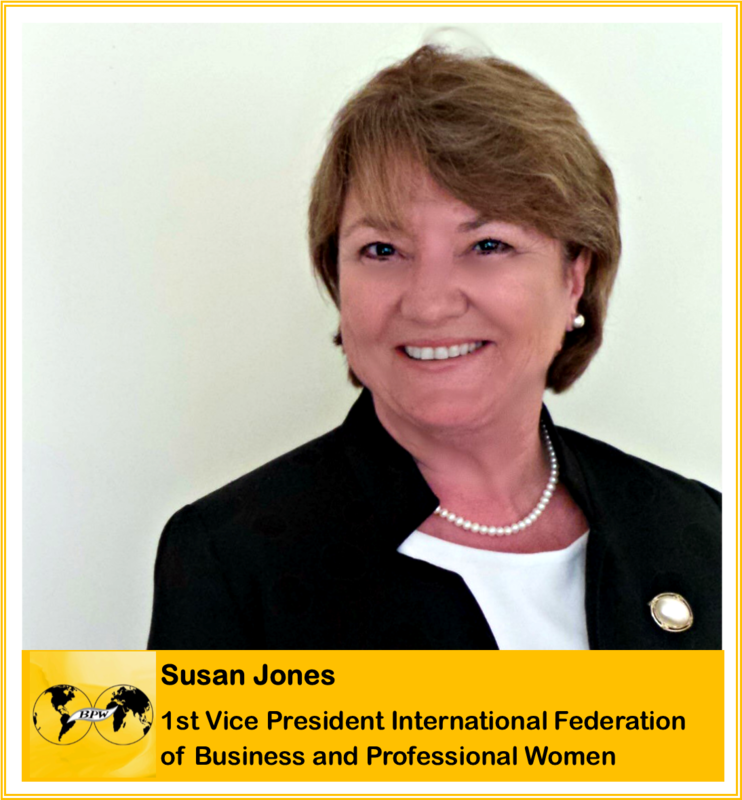 Speakers will present on Women's Leadership and Financial Independence and all attendees will also have the opportunity to meet and network with BPW members, women from all walks of life who are working to make a difference for women as part of an International organisation. Registration includes a splendid grazing table lunch and also afternoon tea. NSW/Vic 1.40pm. SA 1.10pm Qld 1.40pm. NT 1.10pm. WA 11.40am. 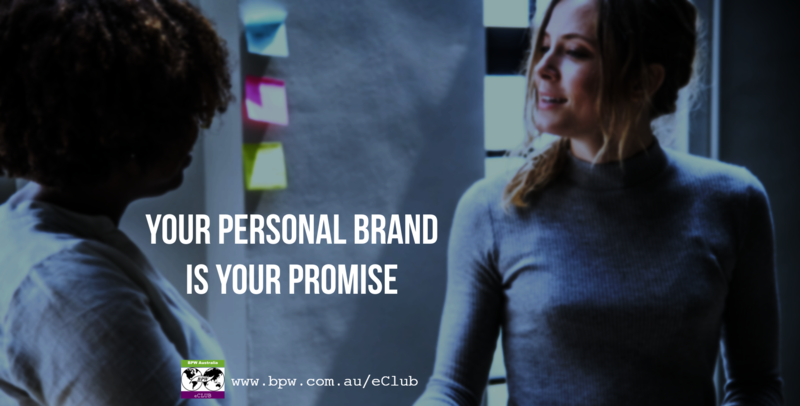 This BPW eClub 3-week Intensive Professional Development Program is free for all Financial BPW Club members to attend - you do not need to be an eClub member, just a member of BPW Australia. Your personal brand differentiates you. It tells people who you are & what unique value you are offering the world. This program will help established professionals to amplify their standing as a community or industry Thought or Opinion Leader and it will also help emerging leaders pitch themselves for career advancement or re-position themselves after after an extended work break or industry downsizing. You get FREE access to this course no matter what BPW Club you are a member of. 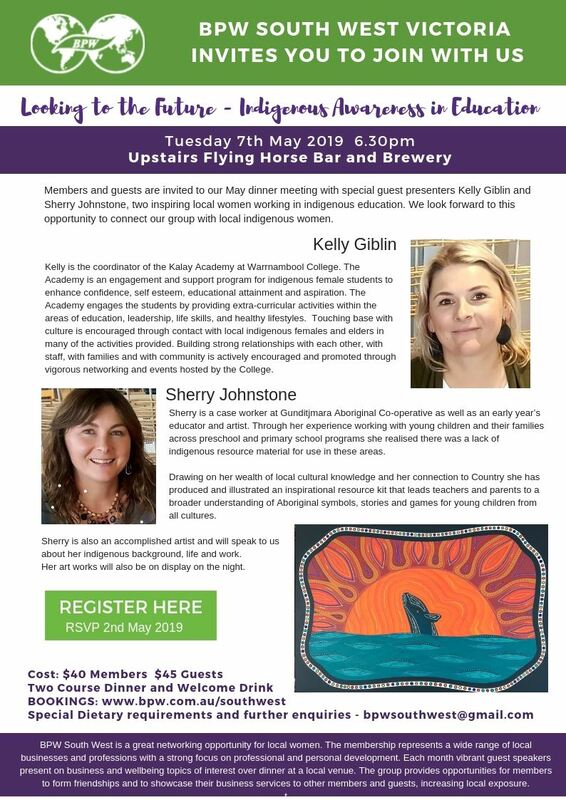 If you do not have a BPW Membership, you can still attend this workshop for the standard ticket price of $190.00 inc. GST. Steps To Clarify Your Personal Brand Vision. How Your Personal Brand Reflects Your Values. The Art Of Crafting Your Personal Brand Message. In addition to the 3 x weekly face-to-face live training sessions, participants will also get additional training videos during the time between sessions and moderated peer support via the BPW eClub website and LinkedIn online forum. 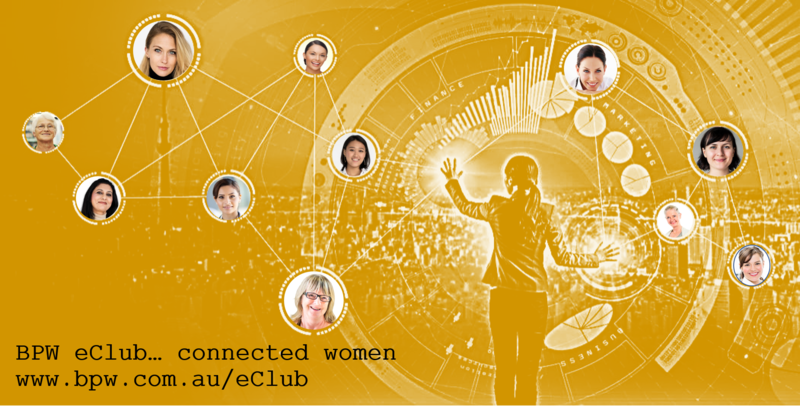 BPW e-Club is a virtual Business and Professional Women's Club, connecting business and professional women all around Australia ... all around the world. BPW eClub assists business and professional women to advocate and network with like minded women who are passionate about financial and social equality for women and girls. 30 May 2018 BPW Strathfield - Let's talk. 06 Sep 2017 BPW Geelong "Moving on up Breakfast"
08 Aug 2017 BPW Geelong presents "Feng Shui for Good Fortune"
11 Jul 2017 BPW Geelong presents "What I Wish I Knew at 22"
19 Jun 2017 BPW Central Coast Women in the NSW Police Force - What's It Really Like? 08 Jun 2017 Women in Politics: Why does it matter ?